Through her work with ISYS ARCHIVE and What We Wore, London-born photographer and publisher Nina Manandhar is immersed in an ongoing exploration of culture and identity, and how it manifests in people’s personal style. She is currently busy collecting photo submissions for an exhibition and book chronicling British people’s style history from 1950 to present day, which will be published by Prestel in 2014. 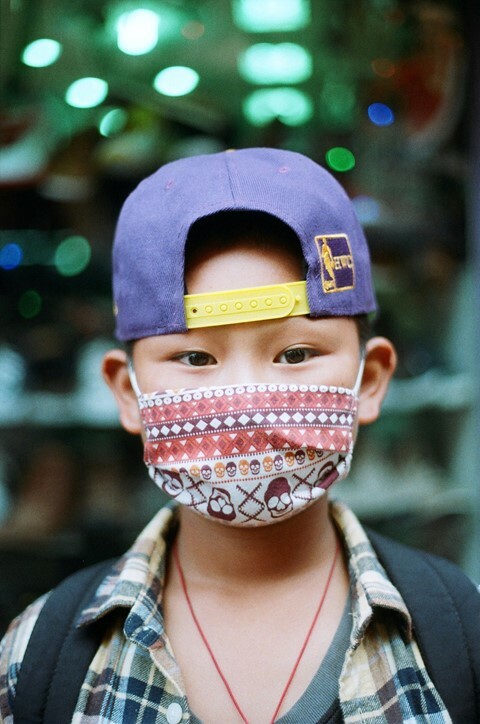 But Nina, who also co-founded youth magazine The Cut, recently took some time out to visit family in Nepal, bringing home this vibrant series of snapshots of local life in Kathmandu. In line with her signature pop-ethnographic approach, Nina strays off the thoroughly beaten path of travel photography to offer real glimpses of the fads, fashions and Facebook logos that currently dominate the Nepalese streets. Dazed Digital: What brought you to Nepal, and what's the story behind the series? Nina Manandhar: These photos are from a recent trip to Kathmandu, Nepal. My dad is originally from Nepal and my mum is British. Its the fifth time I've been over to Kathmandu from London, where I'm from. I travelled there for Desai (the Nepalese equivalent of Diwali) and stayed with my family. Countless photographers have shot in Nepal, it's become a bit a travel photography cliché. The tendency is towards shooting what's most shockingly exotic. Glue bag kids and beggars, or the 'traditional' culture. That's fair enough I guess, but I try and veer away from that, as those aren't the kind of things I'm drawn to documenting. It's also because I have a different relationship with the place. It's foreign but its also I feel at home when I'm there with my family. They say 'Welcome Home' when we go there even though its not home for me and never has been, and not really for my dad anymore either. DD: What were you looking to capture? Nina Manandhar: When I went there this time I wanted to create a photo set which looks more at style, youth culture, and looks at where the old world meets the new world. Kathmandu Valley, land of marigolds and knock off Kappa. Shiny new shopping malls are held up with bamboo scaffolding. 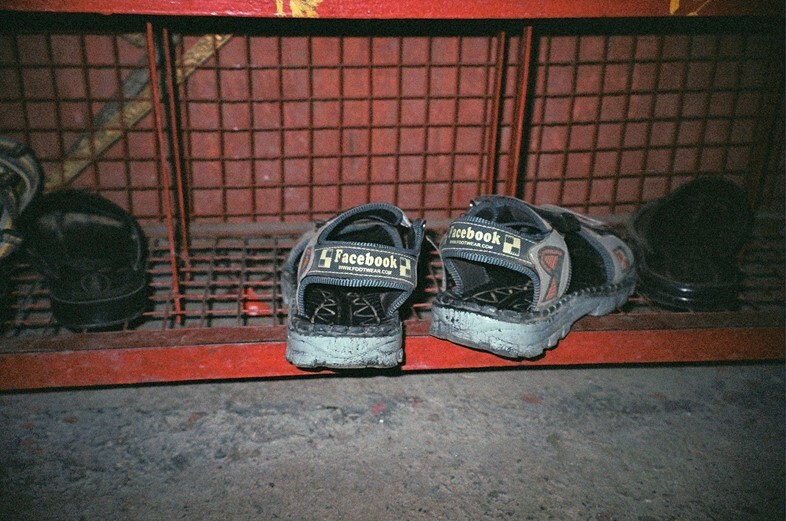 Teenager polo champions and Facebook logos on slippers you wear to temple. The pink marble 'Colonies' - gated communities where the new middle class live. We tend to try and go to Nepal every four or five years and each time I go I notice different things about style. I wasn't really there to take photos, but to see my family. I don't speak Nepali, so for portraits my photo fixers were 10 and 12-year old cousins. Youth aren't used to having their photos taken out there in the street, street style photography isn't really a 'thing' there yet. DD: What caught your eye during the trip? Nina Manandhar: Something that stood out this time in terms of style, were the Apple and Facebook logos or references which seemed to have leaked onto everything and anything clothing wise, and well over taken the wonky Nike ticks. Also the colourful or custom-made masks. It's a very polluted city, for ten rupees you could buy masks with Adidas logos on. T shirts with WWF wrestlers on, mostly worn by less fashion conscious or affluent youth, such as street labourers and tea boys. As I have been back there each I time I notice more and more the generic hallmarks of global style – Nike Air Max, New Era fitted caps, Converse. Some fake, some real. Things that you would see probably see in London, Peru, New York, Amsterdam or Johannesburg alike. But you also see the same style hybrids you see in London: the patterned masks with festival flower garlands remind me of customised hijabs you see here worn by Muslim girls in London. DD: What are the parallels between shooting in Nepal and back home in the UK? Nina Manandhar: Shooting in Nepal is a lot harder because I don't know the language and when I shoot I generally like to engage with people rather than shoot from afar. But I guess what's similar is they are both really lively cities. There is a lot of street culture in Kathmandu – street sellers, conversations, culture, which there is in London too, especially in the places I'm most drawn to anyway. DD: Why do you think teenage style in particular is such a powerful vehicle for telling stories about our lives and the places we live in? Nina Manandhar: Little aspects of style say so much about how people live, what they identify with and what they don't. So just before I went to Kathmandu this time, I was shooting something in Essex about 'Brentwood Sweep' hairstyles. Both completely different places, obviously, but still each has a sense of regional identity that is often expressed through style. For youth in particular it’s about being seen, how you adorn you body to communicate messages about yourself, be it on the street or these days on Instagram. Style can tell stories about aspiration, belonging, community and isolation.